This past week has seen the BP oil spill in the Gulf of Mexico worsen, despite attempts to plug the gushing oil well. Carol M. Browner, President Obama’s climate change and energy policy adviser, told ABC’s “Good Morning America” that she was concerned about the impact that the hurricane season could have on the continuing environmental crisis. This report’s contents: (1) Introduction and Background; (2) Legislative Issues; (3) U.S. Oil and Gas Supply and Demand: U.S. Oil, and Natural Gas Markets; Econ. Effects; Greater OCS Access and Supply; (4) Oil and Gas Reserves and Resources in the OCS; Resource Estimates and Technological Change; OCS Resource Estimates; Resource Estimates by Planning Area, and by Water Depth; (5) OCS Leasing Process and Program; (6) OCS Revenues: Revenue Sharing or Not? ; Royalty Revenue Estimates; Environmental Concerns Associated with Offshore Exploration and Development; Offshore Areas Currently Protected; General Environmental Regulations and Requirements for Offshore Exploration and Production; (7) Environmental Impact Statements: Oil Spills and Leaks; Seismic Surveys and Industrial Noise. Illustrations. An in-depth analysis of the 2009 crisis in the U.S. auto industry. and its prospects for regaining domestic and global competitiveness. Analyzes business and policy issues arising from the restructurings within the industry. The year 2009 was marked by recession and a crisis in global credit markets; the bankruptcy of GM and Chrysler; the incorporation of successor companies; hundreds of parts supplier bankruptcies; plant closings and worker buyouts; the cash-for-clunkers program; and increasing production and sales at year’s end. Also examines the successes of Ford and the increasing presence of foreign-owned OEM (original equipment manufacturers), foreign-owned parts manufacturers, competition from imported vehicles, and a buildup of global over-capacity that threatens the recovery of U.S. domestic producers. U.S. Internet firms have fared poorly in China, which censors content and blocks many foreign websites, including popular social media such as Twitter and Facebook, and YouTube, Reuters reports. In March, Google Inc shut its mainland Chinese-language portal and began rerouting searches to its Hong Kong site, after suffering a sophisticated cyber-attack that it said came from within China. Hardware and Internet services, in and of themselves, are neutral elements of the Internet; it is how they are implemented by various countries that is repressive. Internet services are often tailored for deployment to specific countries; however, such tailoring is done to bring the company in line with the laws of that country, not with the intention of allowing the country to repress and censor its citizenry. This report provides information regarding the role of U.S. and other foreign companies in facilitating Internet censorship by repressive regimes overseas. Sections: Examination of repressive policies in China and Iran; U.S. laws; U.S. policies to promote Internet freedom; and Private sector initiatives. Describes technology for censorship, and circumvention of government restrictions. American foreign policy drastically changed because of the Vietnam War. Democrats and Republicans were no longer unified in supporting American foreign policy. In 1973 the Democratic majority in Congress passed the 1973 War Powers Resolution that prohibited the president from sending United States troops into combat for over 90 days before congressional consent. This report discusses and assesses the War Powers Resolution (WPR) and its application. Contents: (1) Intro. ; (2) Provisions of the WPR; (3) Constitutional Questions Raised: War Powers of Pres. and Congress; Legislative Veto; Auto. Withdrawal Provision; (4) Major Cases and Issues Prior to the Persian Gulf War: Vietnam and Mayaguez: Iran Hostage Rescue Attempt; El Salvador; Hondura; Lebanon; Grenada; Libya; Persian Gulf, 1987; Invasion of Panama; (5) Major Cases and Issues in the Post-Cold War World: U.N. Actions: Persian Gulf War, 1991; Iraq-Post Gulf War; Somalia; Former Yugoslavia, Bosnia, Kosovo; Haiti; Terrorist Attacks against the U.S., 2001: How Does the WPR Apply? ; Use of Force Against Iraq Resolution 2002; (6) Proposed Amend. U.S. Representative Barney Frank is among 15 members of Congress pushing the Treasury Department to set rules that would help banks provide financial services to medical marijuana dispensaries, according to Bloomberg News’ Businessweek. Contents: (1) Intro. ; (2) Medical Marijuana (MM) Prior to 1937; (3) Federal MM Policy: Congress. Actions: Marijhuana Tax Act of 1937; Controlled Substances Act; Hinchey-Rohrabacher Amend. ; Exec. Branch Actions and Policies: Approval of Marinol; Admin. Law Judge (ALJ) Ruling to Reschedule MM; NIH Workshop; Inst. of Med. Report; Denial of Petition to Reschedule Marijuana; FDA Statement That Smoked Marijuana is Not Med. ; ALJ Ruling to Grow Research Marijuana; DEA Enforce. Actions Against MM Providers; Obama Admin. and MM; MM in the Courts: U.S. v. Oakland Cannabis Buyers’ Coop. ; Conant v. Walters; Gonzales v. Raich; Amer. for Safe Access Lawsuit; (4) State and Local MM Laws; (5) Public Opinion; (6) Arguments For and Against MM. On April 23, 2010, Arizona enacted S.B. 1070, which is designed to discourage and deter the entry or presence of aliens who lack lawful status under federal immigration law. It requires state and local law enforcement officials to facilitate the detection of unauthorized aliens in their daily activities. The enactment of S.B. 1070 has sparked significant legal and policy debate. Contents: (1) Background; (2) Major Provisions of S.B. 1070; (3) Overview of Preemption: State Enforce. of Immigration Law; Criminalization of Immigration-Related Conduct; Criminalizing Hiring of Persons Picked on Roadways; Criminalizing Alien Smuggling; Criminalizing Violations of Federal Alien Registration. Require. ; Criminalizing the Solicitation or Performance of Work by Unauthorized Aliens; (4) Racial Profiling Issues. This cookbook, updated from the original 1993 version, demystifies the visual artistry, simplicity of preparation and healthfulness of Japanese cuisine for the home cook. There are nearly 100 easy-to-follow recipes, 16 pages of stunning full-color photos, and more than 30 illustrations of techniques ranging from carving carrot “flowers” to slicing sashimi. 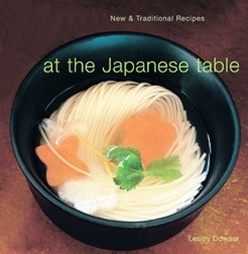 More than just a cookbook, author Lesley Downer, who based this book on a six-part BBC2 series she presented, takes you on a culinary tour of Japan — to the feasts and festivals, into the homes, restaurants, sushi bars, street stalls and even the temples for a taste of this popular cuisine. Explains the history, legend and lore of the foods. Diane Publishing is your source for nearly 40,000 hard-to-find books and government reports, catering to readers of all ages. We also distribute the publications of 10 Philadelphia non-profit institutions. Enter your e-mail address to subscribe to this blog and be notified of new posts by email.